Standard Oil was not a venture John Rockefeller created, per say. 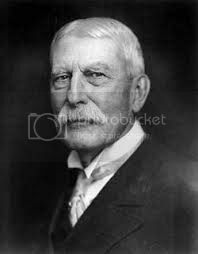 It grew from Rockefeller’s inspiration, but he is quoted as saying that the idea belonged to Henry Flagler. Flagler is an interesting character in the history of Standard Oil. He was introduced to Rockefeller some years prior, when John was working as a youth in a grain office. There, John was learning the principles of accounting and becoming adept at estimating the costs for transportation. Flagler took notice. He had owned a salt business some years prior, which had failed, and was employed at that time as a commissioned salesman. Flagler wasn’t on the best financial terms when Rockefeller approached him for funding during the mid 1860s. He’d left the grain business by then, and had dabbled in oil with another man. A chemist named Samuel Andrews, who was working with Rockefeller’s brother William, invited Flagler into their operation. John came into the picture with a grand scope in mind. Flagler wanted in and a lack of funds wasn’t going to stop him. He went to a family member named Stephen Harkness, and he requested the funds from him. Harkness gave the money, Flagler invested and the company was successfully launched in 1870. Flagler, as it turned out, was a brilliant marketer and salesman. While it would become one of the linchpins to the company’s anti-trust litigation, Flagler was the idea man behind rebates for the railroads. That single suggestion put Standard Oil in full control over its transportation lines and ensured it would remain profitable for many years to come.